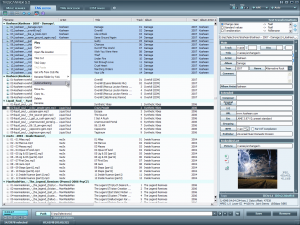 If you have a large music collection then it is very difficult to manage them unless you have a very good software. Recently I was fed up with my music collection and was searching for a good software to manage all of them and found TagScanner. 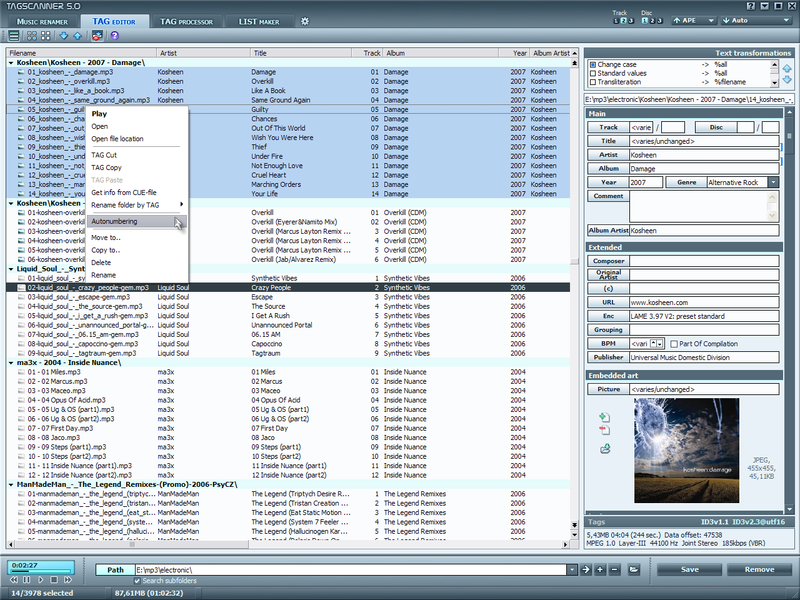 TagScanner is a multifunctional and very useful program for organizing and managing your music collection. With the help of TagScanner you can easily edit tags of all your audio files, rename files based on the tag information, generate tag information from file names and perform any transformations of the text from tags and file names. You can also get the album information via online databases like freedb or Amazon. This was really very helpful for me. TagScanner supports ID3v1, ID3v2, APEv2, WindowsMedia, Vorbis comments and MP4(iTunes) tags. Powerful TAG editor with batch functions and special features is also available. There is also a playlist maker with the ability to export your playlists to HTML or Excel. Playlists export to HTML, Excel and CSV. Multilanguage interface and Built-in multiformat player.